The world is full of many undeniable truths. The world never stops turning, the journey of a thousand miles begins with a single step and every kid wants to be Spider-Man at some point in their life. Can you blame them? Spider-Man gets to shoot webs out of his wrists, he gets to swing through the air and he’s strong enough to fight bad guys like the Green Goblin. Even most adults would trade their job for a chance to be the Marvel superhero! 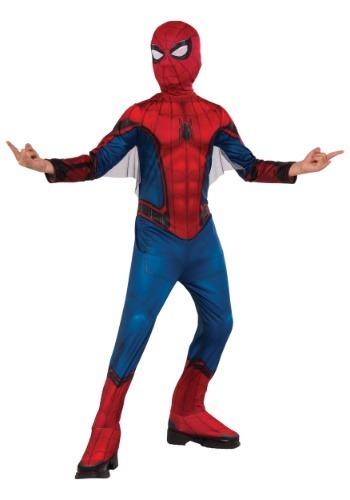 Now, with this Spider-Man costume, your child will finally get his chance. This classic Spider-Man costume is a licensed Marvel costume that will help your kid jump into the iconic role of the comic book superhero. Now, it won’t give him the strength and agility of a spider, and it certainly won’t give him that crazy Spider Sense. It does, however, give him the perfect red and blue outfit seen in the comics. 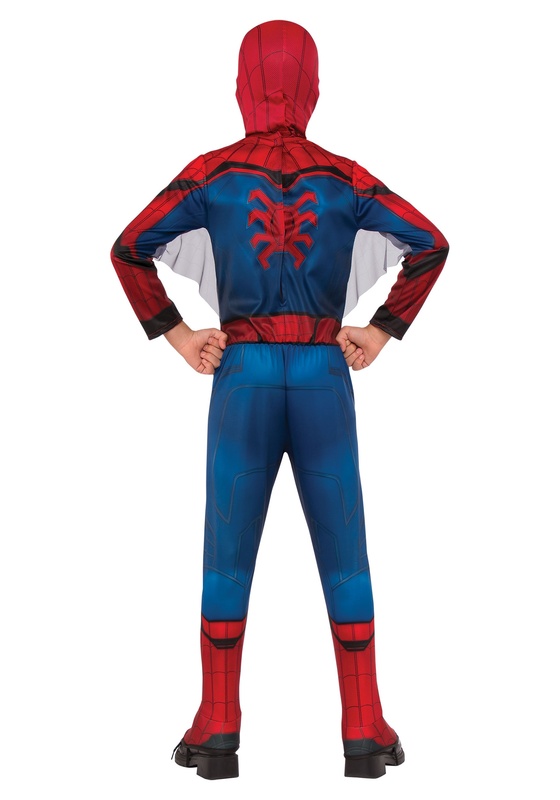 The costume comes with a jumpsuit that has printed web details and attached boot covers. The jumpsuit even has webbing under the arms, like in the Homecoming film and classic comic books. It also comes with a mask based on the one that Peter Parker wears to keep his secret identity a secret! Once your little one has this costume on, he’ll be ready to swing into action against the Vulture, Doctor Octopus, or even a whole legion of imaginary ninjas that infiltrate your living room. And he never has to mess around with any radioactive spiders!